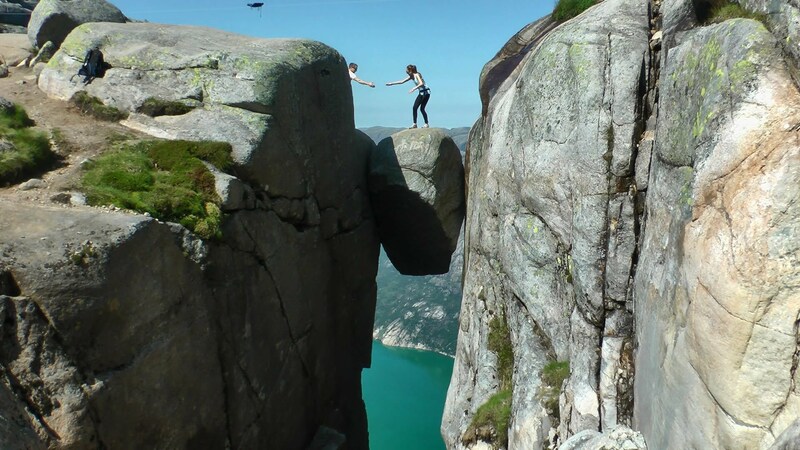 The famous Kjeragbolten is a 5 m³ boulder stuck between two rocks of the Kjerag mountain in Norway (the highest point is 1.110 m above sea level). 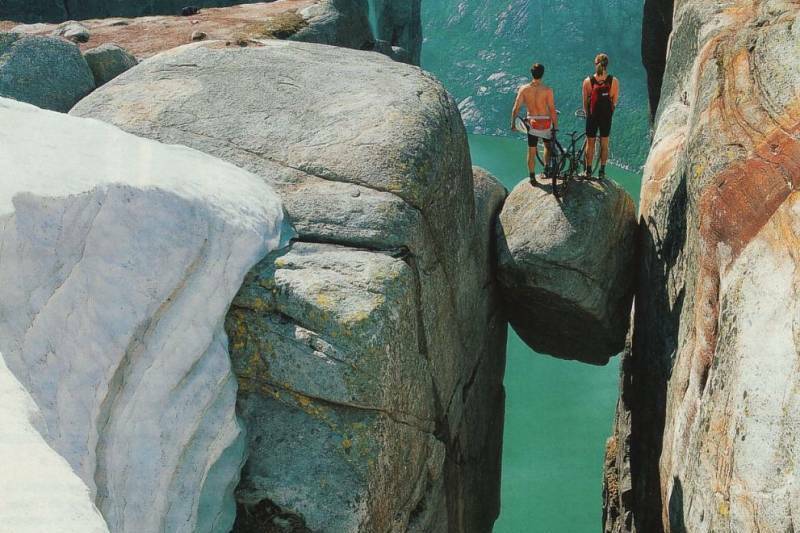 It is an attractive destination for hiking, climbing and BASE jumping. Several adrenalin-lovers already found here its own death. 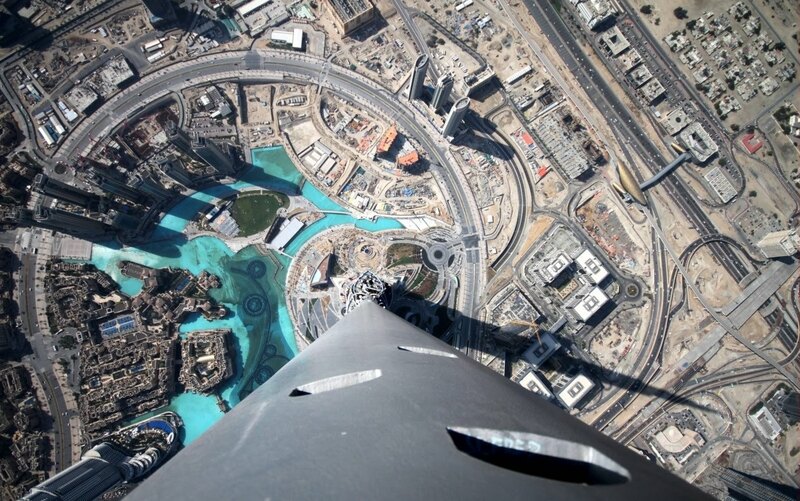 Do you have a desire.... to see the city from the highest building in the world? 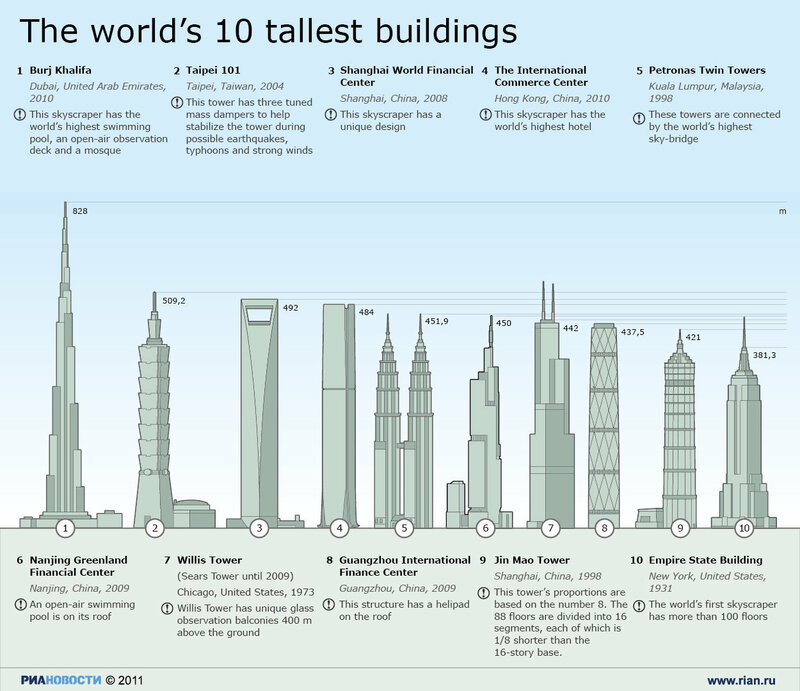 ...to dance in the highest nightclub (on the 144th floor)? 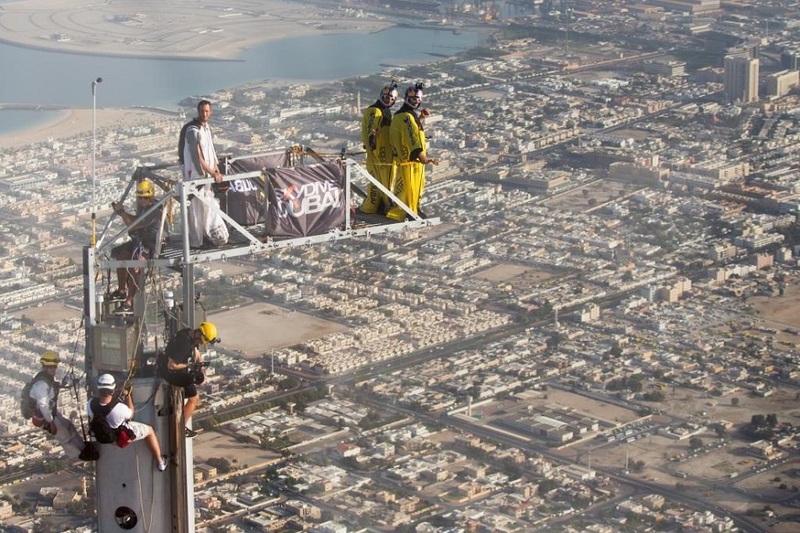 .....to eat in the highest restaurant (on the 122nd floor)? 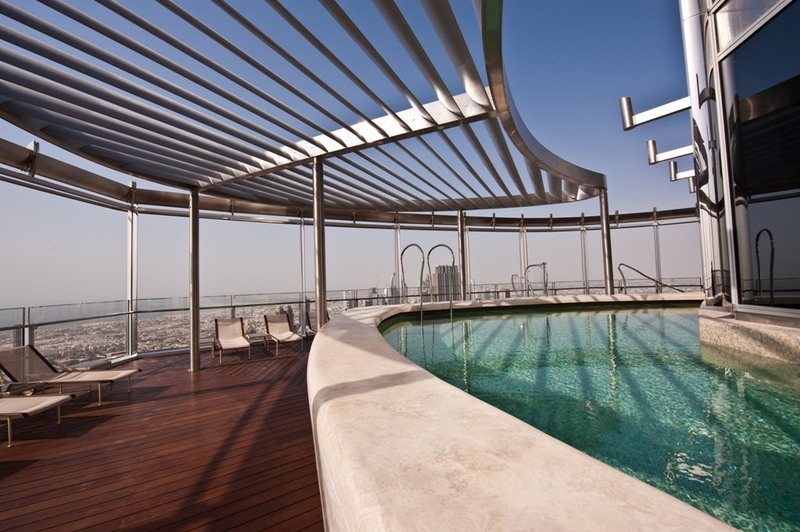 Or to swim in the 2nd world´s highest swimming pool located on the 76th floor? 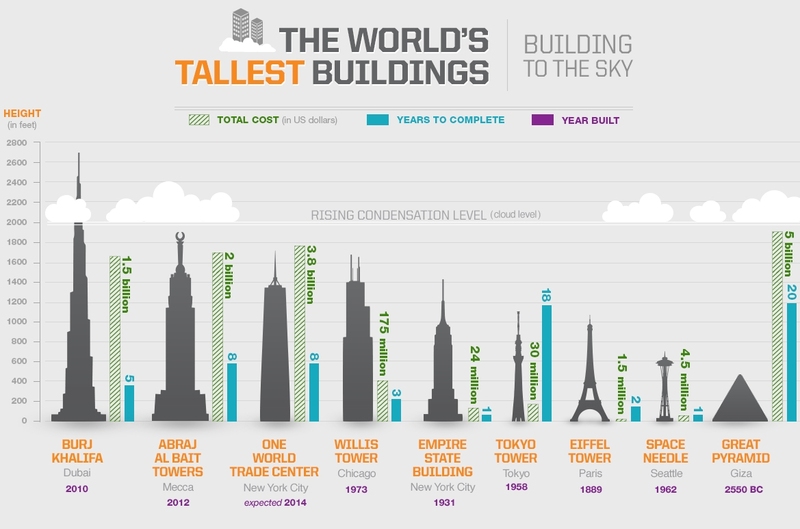 If so, go to Dubai in the United Arabian Emirates and visit Burj Khalifa - the highest building of the world (built since 2004 and opened in 2010, high 829.8 m/2,722 ft). If your budget is big enough you can have all in one place :-)! And if you get fall in love in Burj Khalifa you can stay there longer in the stylish Armani hotel which is situated in lower floors. 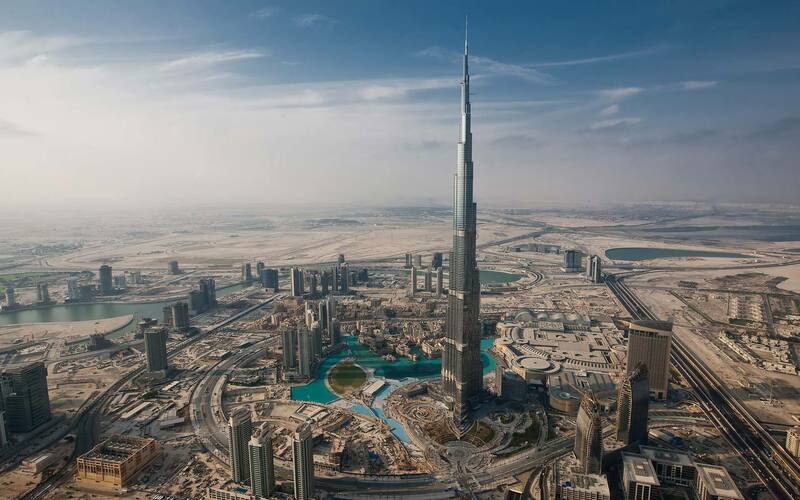 The observation decks in Burj Khalifa called „At the Top“ are located on the 124th floor and it is a real fascinating „must-see“ experience. In order to avoid a long queue for a lift definitely buy tickets on-line in advance and consider to pay extra money for a fast track. The lift is very fast (just 59 seconds to the observation decks) but people suffering from motion sickness do not need to be affraid. The ride the lift is very soft, without any unpleasant pressure. You almost don´t feel that you go up. 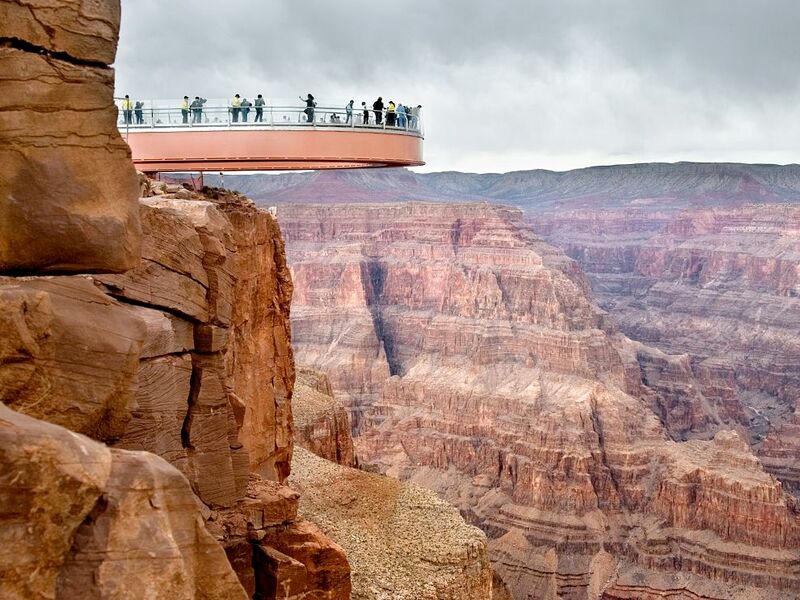 Tom Cruise during the filming of "Mission: Impossible 4"
Although the Skywalk is a somewhat an overpriced trip, the walking over a u-shaped glass bridge, located 4,000 ft above the Grand Canyon floor, is a unique, breathtaking experience (if you don´t suffer from dizziness). 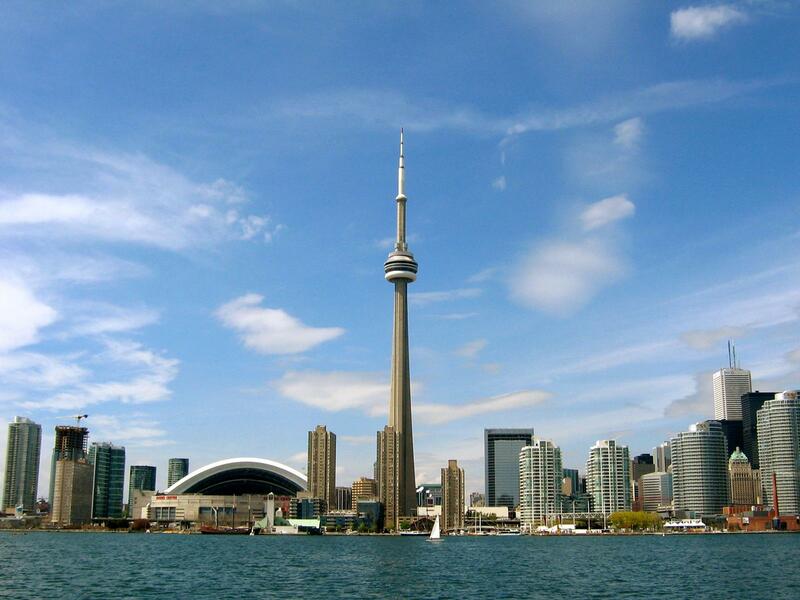 It is correctly called one of the top attractions in the world. 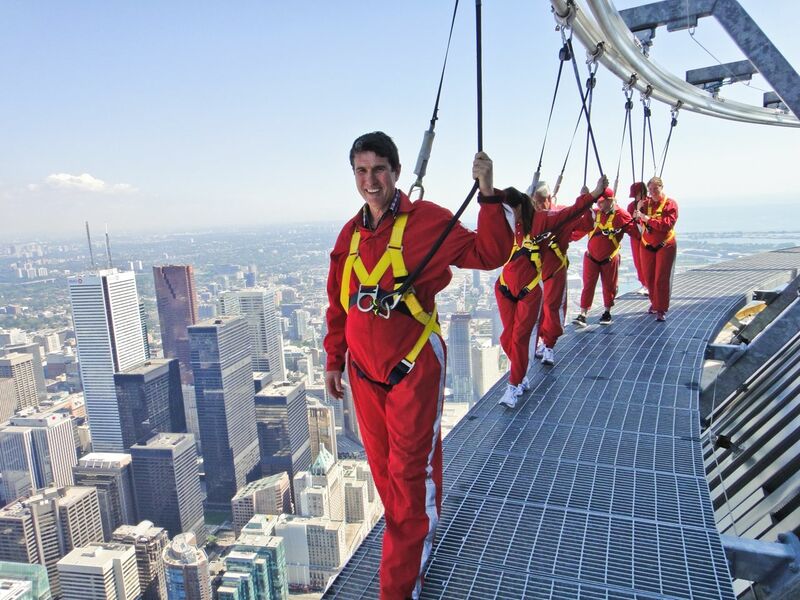 The Edge Walk at CN Tower (high 553.33 meters/1,815 ft) is an exciting challenge for adrenaline junkies: It is the world’s highest full circle hands-free walk. 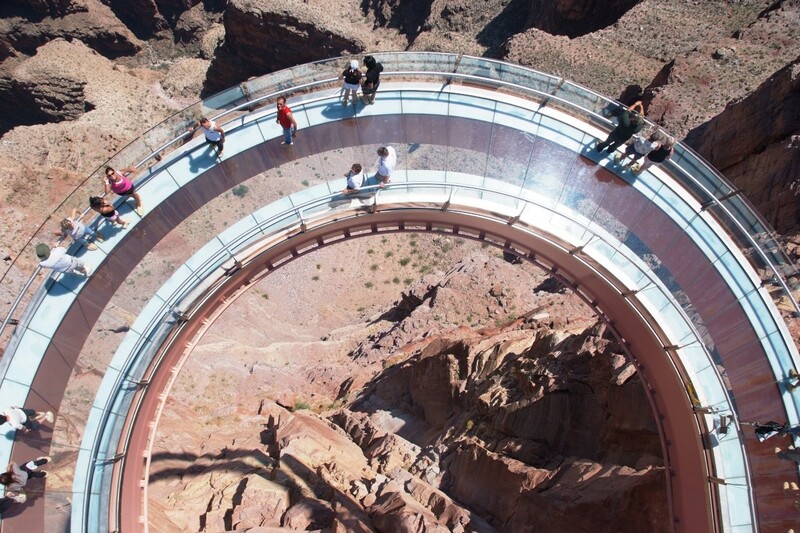 If you aren´t into these type of activities stay inside and use one of the six glass-faced elevators traveling at 22 km/hour (15 miles/hour) to reach the observation deck in 58 seconds. The Glass Floor at the observation desk was the first of its kind when it was opened in June 1994. 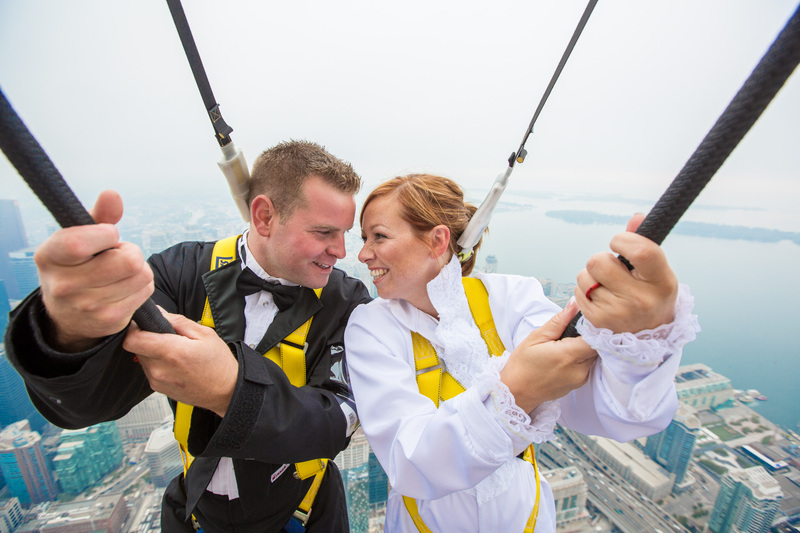 Dining at the 360 Restaurant is an unique experience - it makes a complete rotation every 72 minutes giving diners a changing view of Toronto more than 1,000 feet below. 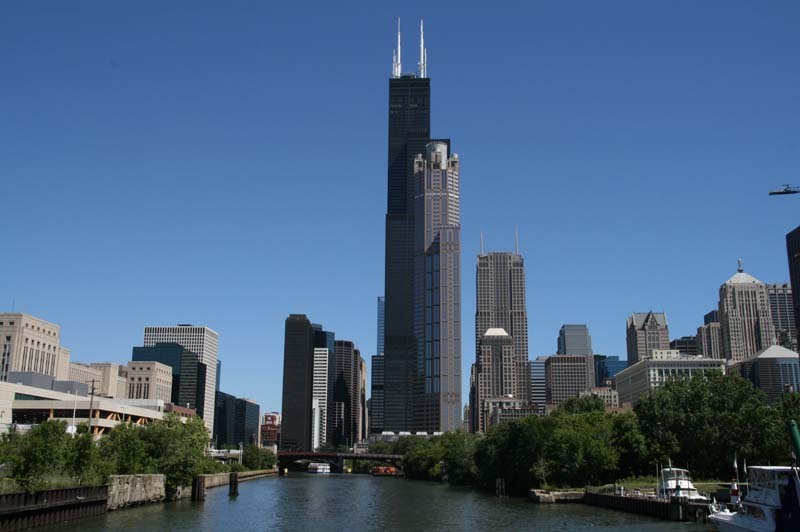 The Willis Tower in Chicago is a 108-story, 1,451 ft / 442 m high skyscraper with the unique glass observation balconies 400 metres above the ground. Being at the top of the Willis Tower in Chicago is a pure excitement. It is a one of the best views in the world, you can see four states. On a clear day, you feel weightless.